In a Montessori education, one of the main emphases is on the development of the whole child. While a traditional school may focus mainly on developing a child’s cognitive abilities, a Montessori school, like Montessori Academy at Sharon Springs, aims to develop every aspect of a child. These aspects include the four major elements that make up what Montessori refers to as the whole child: physical, emotional, social, and cognitive. Dr. Maria Montessori believed that knowledge, learning, and movement were all interconnected and that learning through the senses engaged the whole body. That is why movement in a Montessori environment is so important. By ensuring that children are moving around and staying physically active throughout the day, the Montessori method promotes physical growth and maturity. Not only do physically active children develop stronger muscles and bones, but they also tend to have an easier time falling asleep at night. Another positive to developing the physical aspect of a child is the opportunity they get when they play outside. Outdoor play allows children to be exposed to all of the beautiful things that nature has to offer. The outdoor environment is also the perfect place for children to use their senses. Outdoor objects like plants, rocks, and animals can serve as a classroom as well. At Montessori Academy at Sharon Springs, we encourage our students to move about both inside and outside the classroom. Our students participate in physical education activities on a regular basis and are able to participate in additional enrichments including tumbling, playball, and tap-ballet. Dr. Montessori also believed that developing the power to love through flourishing the inner peace and depth of the soul should be one of the most important goals in life. Learning how to recognize and manage emotions, therefore, is a very important life skill. Because many conflicts in life are a result of a person feeling hurt by another’s actions, it is crucial for children to learn at an early age that their actions can affect other people. In a Montessori school, the value of respect is highly emphasized. If students get into a disagreement in a Montessori classroom, they learn how to talk about their feelings in order to resolve the issue peacefully. 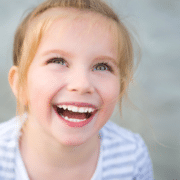 In a Montessori environment, children also learn how to recognize what emotions others are feeling by looking at body language and facial expressions. Through the development of emotional intelligence, children are able to form stronger bonds with others. Another key part of developing the whole child through the Montessori Method is recognizing the importance of social interactions. One of the main features of a Montessori school, multi-age classrooms, takes this into consideration. In these classrooms, children are grouped according to the plane of development they are in, rather than the traditional method of grouping based on exact age. Multi-age classrooms, therefore, allow students to interact with children of varying ages, which helps young children feel more comfortable with older children. Older children also benefit from being in multi-age classrooms because it develops their leadership skills by being able to serve as mentors to the younger students and assist them with their work. In the Montessori approach, the classroom expands far beyond four walls. To a Montessori student, the world is their classroom. With this in mind, it is important to note how the world plays a key role in the Montessori method’s aim to foster creative thinking, problem-solving abilities, and the drive to learn and challenge oneself. With the world as their classroom, students learn to view themselves as global citizens and begin to recognize and appreciate the beauty of different cultures and traditions. In a Montessori environment, children begin to understand that they are part of a greater universe and therefore they develop a moral responsibility to protect our planet for the future. They also develop a profound respect for the natural environment and understand the importance of practicing good virtues. Art and music programs allow children the outlet to express themselves while computer classes help prepare them for our technologically progressing society. Through a combination of these subjects and Montessori approaches to learning, children develop the cognitive skills necessary to succeed today. At Montessori Academy at Sharon Springs, our child-centered Montessori Method of education values the human spirit and strives for the development of the whole child. In our Montessori school classrooms, our dedicated guides work on developing every the physical, social, emotional, and cognitive aspects of the whole child on a daily basis.